Sleep Apnea Treatment in Glendale: Can You Cure Sleep Apnea Yourself? If you suspect you are suffering from sleep apnea, it’s important to make an appointment with a qualified doctor for treatment. 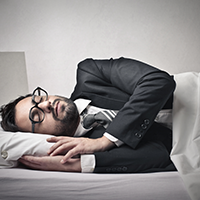 Our men’s clinic in Glendale offers sleep apnea treatment. Working with a sleep specialist can help you get deeper, more restful sleep. That can benefit your physical as well as your mental health. There are a number of things that you can try at home, as well, to help with the symptoms and reduce your risk of sleep apnea. Lose weight. Being overweight is one of the highest risk factors for sleep apnea. Even losing a couple of pounds can help greatly reduce your symptoms and your risk, not to mention the benefits for your heart and other internal organs. Make it a goal to lose a couple pounds and see if it helps with your symptoms. Avoid alcohol before bed. Drinking alcohol before you go to bed can cause the muscles in your throat to relax too much, causing your soft palette to collapse and increase your snoring and potentially sleep apnea symptoms. Ditch the cigarettes. If all the other reasons weren’t enough, stopping smoking can greater reduce your risk for sleep apnea. The smoke from cigarettes inflames the tissues in your throat and causing increased snoring. Sleep on your side. Sleeping on your side prevents the soft tissues in your throat from collapsing, allowing you to breathe easier while you sleep. If you find yourself continually rolling onto your back, sew something in the back of your pajama pants that will make it uncomfortable to do so. A tennis ball usually does the trick. Get your head up. Sleep on an extra pillow or foam wedge in order to lift your head. This will help keep your airways open while you sleep. 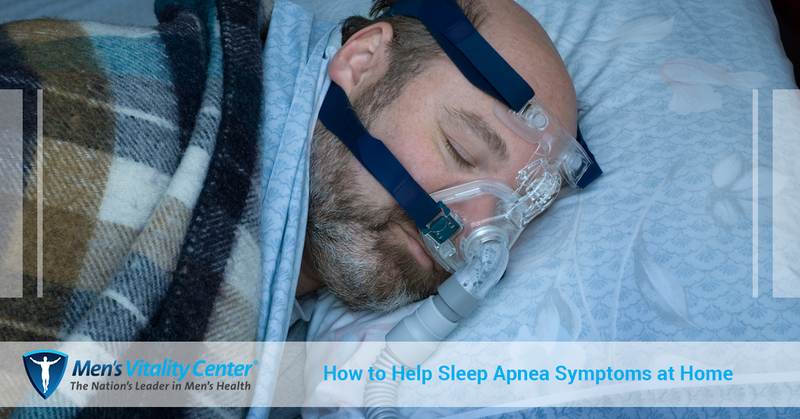 Sleep apnea isn’t something you should take lightly. The restriction of oxygen while you sleep can create very serious medical problems. While you are welcome to try any of the above methods at home (many of which are healthy lifestyle choices to make, anyway), you should still seek the advice of a medical professional if you suspect sleep apnea. If necessary, they can send you in for a sleep study to determine whether or not you have sleep apnea and the severity of your symptoms. Once they know that, they can develop a treatment plan. That might include any of the above, along with CPAP machines or even surgical interventions. If you are worried that you are suffering from sleep apnea, make an appointment with our Glendale men’s heath service today. You can give us a call or contact us through our website.